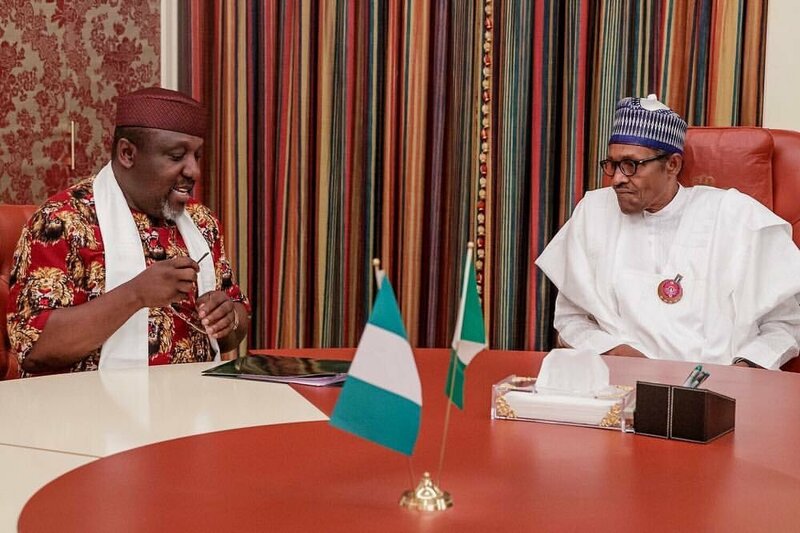 Governor Rochas Okorocha of Imo says the National Chairman of the All Progressive Congress (APC), Comrade Adams Oshiomhole, has in less than six months, enthroned the culture of rascality into the party, and has called on President Muhammadu Buhari to call the party chair to order. Reacting to a recent statement by Oshiomhole where he said former President Olusegun Obasanjo will incur the wrath of God. Okorocha, speaking through by his Chief Press Secretary, Sam Onwuemeodo, said Oshiomhole should borrow a leaf from the President who he said, ‘since assuming office has never used any foul language on any Nigerian, low or high, adding that one of the reasons the PDP lost in 2015 was the abuses the handlers of the Party then were heaping on the APC Presidential Candidate then, who is today President. The Governor insisting that the party does not belong to Oshiomhole, expressed worry that the chairman is the only one talking about APC and no other member of the National Working Committee (NWC), of the party is doing so, and so pleaded with the President to advise the former labour leader to carefully select his words when he is talking about certain categories of Nigerians and as well help the party and its candidates by making his points without abusing people. “The way Oshiomhole is talking has become nauseating to most Nigerians and the earlier he is called to order, the better. He should be talking about the achievements of President Buhari and APC as a party instead of using the opportunities he would have used to do that, to be insulting people. To say the least, few weeks to the elections, APC and its Candidates do not need Oshiomhole’s abuses or insults but the reasons Nigerians should re-elect President Buhari and elect APC Candidates,” the statement added.